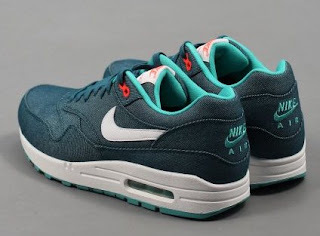 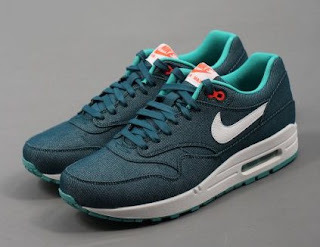 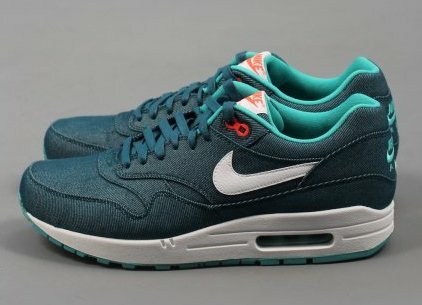 The Air Max 1 from Nike was first released in 1987 and became both an iconic running and casual style. 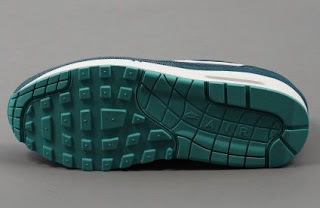 Presented in a denim twill upper with white swoosh branding to the sides, turquoise detailing to the inner lining and total crimson accents to the top eyelets and woven brand tab. Finished with a clean white midsole which features the famous visible air unit, a turquoise coloured waffle outsole for extra traction, flat tonal laces, embroidered branding on the heel and a woven tab on the tongue.